We have two varieties of this berry. With thorns or thornless. Both have similar characteristics except the one with thorns is more vigerous. This is a spring flowering, rambling berry that we grow on a support. 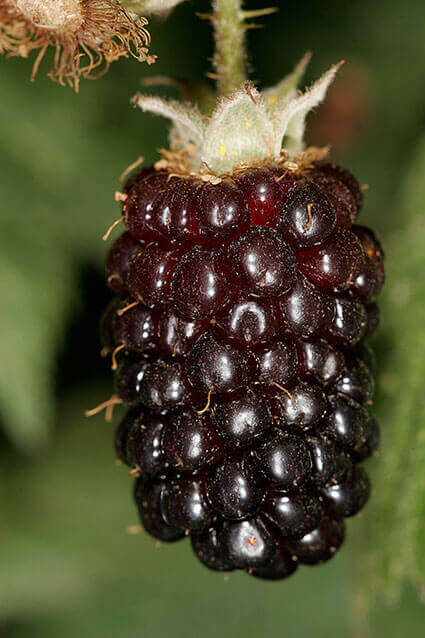 It produces large purple to black berries in summer. Sweet with a slight tartness. More flavour than Blackberries.